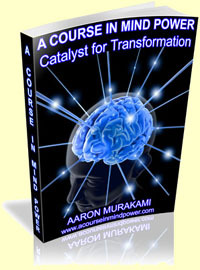 A Course in Mind Power by Aaron Murakami – Aaron covers many rare pieces of information that are left out of much of the western literature when it comes to enhancing mind power. That even includes teachings in English of Eastern philosophies. You will understand the secrets of the ideomotor effect and who was really behind the science. You will also learn some little known facts about Zi Fa Dong Gong as well as Kundalini that you won’t find elsewhere. Make sure to read the testimonials on this website!